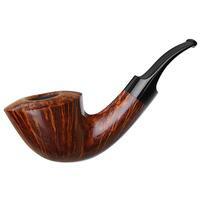 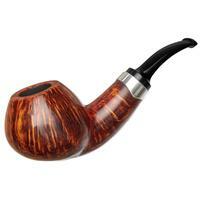 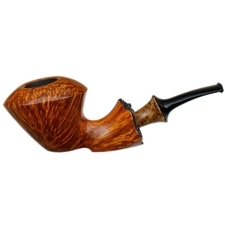 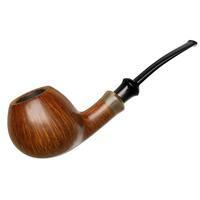 It's not often we get a high-grade Balleby, and even less often that they come through unsmoked. 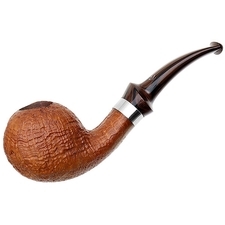 This bent Apple is a real rarity, as well as being a charming design. 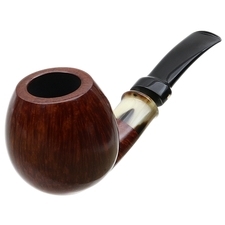 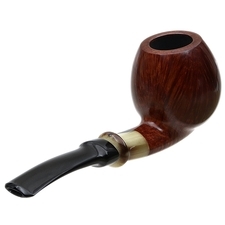 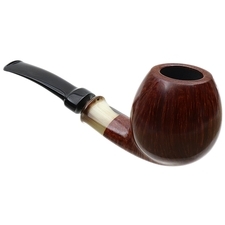 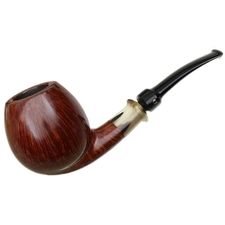 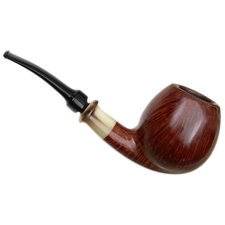 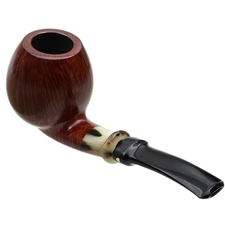 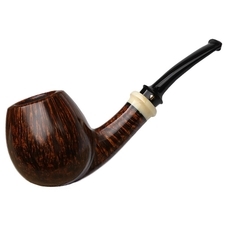 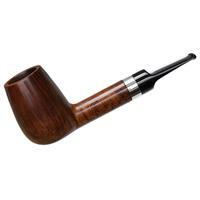 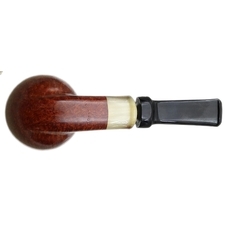 Rendered in overall compact proportions, its plump bowl offers a pleasant, natural grip in hand, and has been set with a tucked transition and oval shank that extends through to the lifted heel, creating a poised stance and a touch of dynamism in profile. 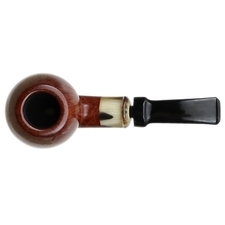 Lively flame grain wraps the entire bowl and both of the shank's flanks, and the warm tone of its stain is complemented nicely by a natural, creamy horn mount. 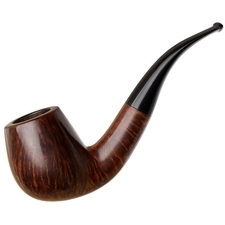 Well-considered from rim to bit, it's an ideal collector's piece, and we don't expect to see another anytime soon.